This Collie nicknamed Sirius sold and went to a new family. Sirius is normal eyed for both CEA and PRA. 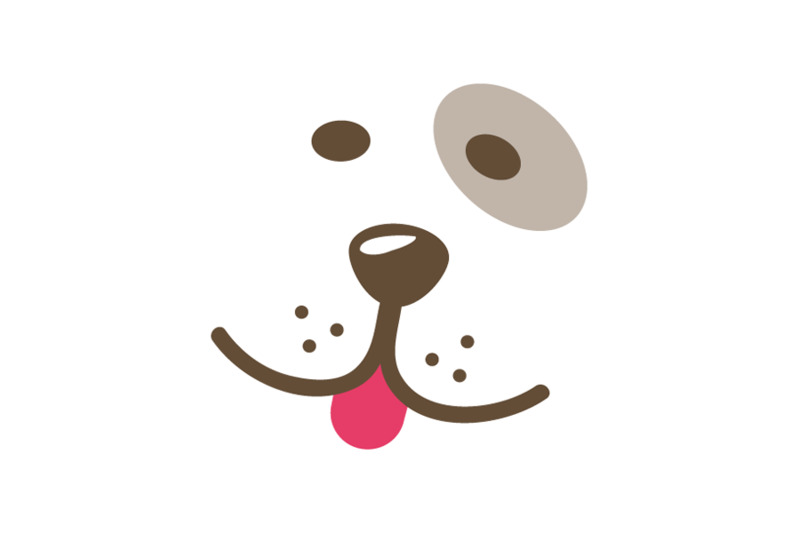 He is our largest pup and has a lot of gorgeous white and is a beautiful mahogany color. Our pets are all DNA tested so we know the health of the parents. 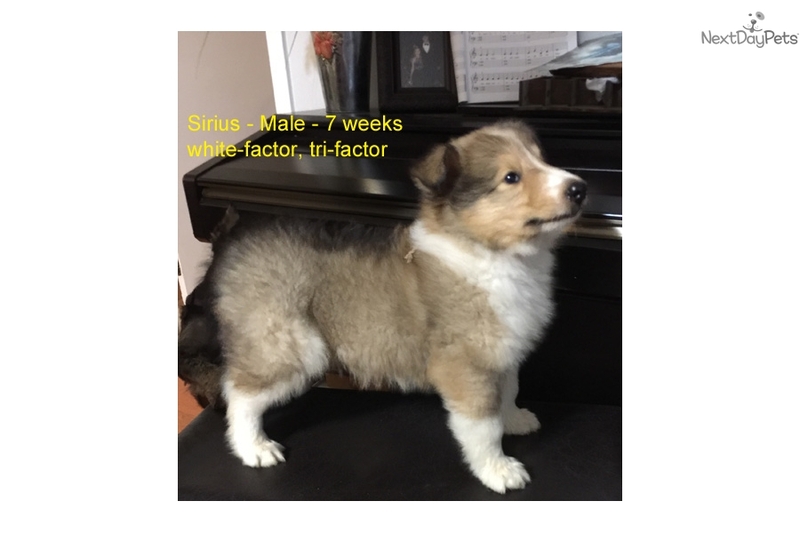 All of our pups are free of CEA and PRA which affects an average of 75% of all collies sold in the U.S. Our puppies are born in our home and started on paper training at 3 weeks. At 5 weeks they are started on outdoor potty training. We handle them from day 2, every day, so they are fully socialized to human touch and interaction, they love us as much as we love them. Our puppies are all microchipped before they leave our home and the microchip database registration is pre-paid by us. We are Arkansas collie breeders. 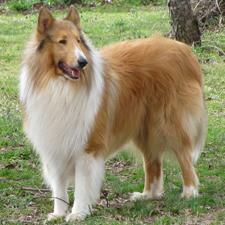 Please contact us for more info at 501-676-2374 or visit our website at www.colleycollies.com.